3dscanstore has released a revolutionary new reference drawing app available for your PC. For the first time ever artists have complete control over fully realistic 3d scanned Male and Female skulls in a virtual environment. With fully customisable lighting and camera control. Fully functional and completely free to download. 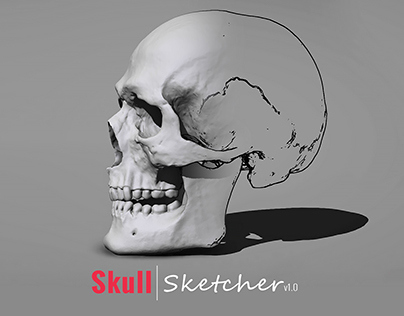 Skull Sketcher is the first of our real time applications for traditional artists. Combining high resolution scanned human skulls with real time rendering technology we have been able to create a unique application that will allow artists to study, draw and sculpt from a real human skull. Unlike a desk top cast or internet reference images Skull Sketcher gives the artist full control over the lighting, position and shading of both the skull and the environment. Customisable lighting. Create any lighting set-up you chose. Follow this link to the 3dScanstore website to download your free, fully functional viewer.